Mr. Dent is chief executive officer & director of the Company. He has been involved in the Canadian financial markets for over 30 years and has extensive experience in “small cap” evaluation and investment. Most recently, he was a noted portfolio manager with Matrix Fund Management Inc., where he guided the Matrix Small Companies Fund and the Matrix Strategic Small Cap Fund. Previously, he was Vice Chairman of one of Canada’s largest independent investment dealers. 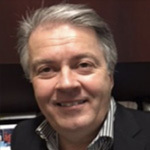 Mr. Bilodeau is the president & director of the Company. He is an executive with expertise in new business development, strategic planning, marketing strategy and organization, operations, finance, and client services. Peter has business interests in various sectors including, merchant and investment banking, retail, manufacturing, real estate, the cannabis industry, and oil & gas. He is on the Board of several companies. Peter has an MBA from Dalhousie University in Halifax Nova Scotia. Mr. Szustak is Chairman and Corporate secretary of the Company. 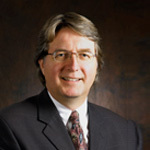 He is a CPA, CA with over 33 years of financial service, business development, marketing, accounting, and CFO experience. Mr. Szustak has worked at both small and large accounting firms advising a wide range of businesses. He has been involved in various small cap Public companies during his career. Mr. Szustak holds a B.A. 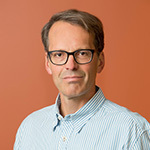 Honors Chartered Accountant Studies and Economics from the University of Waterloo and received his Chartered Accountant designation in 1985. Mr. Li is the Chief Financial Officer of the Company. He is a CPA, CA with over 10 years of experiences in corporate finance, financing reporting and regulatory compliance services. 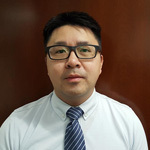 Mr. Li had also worked in both the public accounting and private sector, specializing in audit and accounting, including two years as Manager of External Reporting with Sears Canada Inc. (2016 – 2017). Mr. Li holds a Bachelor of Commerce Degree in Finance from McGill University, and received his Chartered Accountant designation in 2012. Mr. Booth is founder and Chief Executive Officer of Aurora Cannabis Inc. Previously, he was in industrial permitting and governmental regulatory sector for over 20 years. An entrepreneur and Alberta business leader, Mr. Booth served as President/CEO of six other highly successful businesses, one of which, Superior Safety Codes Inc., has received many awards including one of Canada’s top 50 fastest-growing companies. Mr. Geddes has been a Finance Professor at Sheridan College since 2005. His research has focused on corporate valuation, corporate finance, and IPO’s. He has published five books, including IPO’s and Secondary Offerings. He was co-founder of X3 Labs Inc. in 2006 and was its CFO until 2013. Mr. Geddes has a BA from the University of Toronto and an MBA from the University of Western Ontario. Mr. Roodenburg is the founder, largest individual shareholder and CEO of Greencastle Resources Ltd., (TSXV - VGN) a diversified investment company focused on the natural resource sector. His experience includes four years as an Investment Executive with National Bank Financial (1987-1991). Subsequently, Mr. Roodenburg has been an active investor and founder, officer and director of several public companies, assisting in the areas of corporate development and finance primarily in mineral exploration and the oil and gas sectors. Mr. Szweras, is a securities law partner with Fogler, Rubinoff LLP in Toronto and Chairman of Foundation Markets, a Toronto Merchant Bank and Exempt Market Dealer. His law and banking practices focuses on financings and going public transactions. Adam represents several mid market public companies and assists companies in listing on Canadian exchanges. He also represents brokerage firms as legal counsel and has helped numerous clients with their M&A and cross boarder transactions. He is a director of several public companies.